Phishing is the attempt to acquire sensitive information such as usernames, passwords, and credit card details. Phishing takes advantage of the trust that the user may have with the site that is being portrayed, and giving the hacker has the chance to gain personal information. 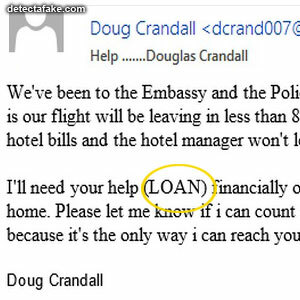 Below are a few steps to identify fake emails before you are the next victim. The first thing to look for is image quality. If the email says it is from a bank, Paypal, Microsoft, Apple or another reputable company, they are not going to send you an email with sub quality graphics. If you see something like the one above, don't click on anything and delete the email. Next, if the email is asking for personal information, or is linking you to a website that asks you for it, it's a phishing email. 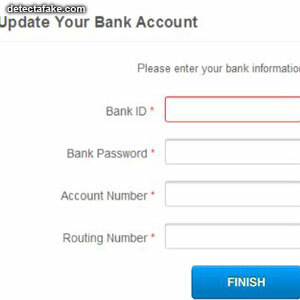 Banks and companies with this kind of information already know your information. Do not fall for this. 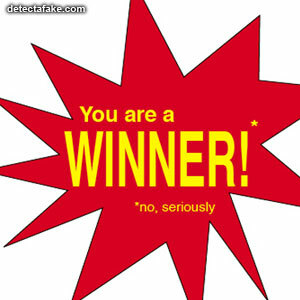 You will be giving your information directly to the scammers. Next, if you're asked to log in to your account, beware. Look at the url on your browser's address bar. Most of these sites disguise their domain name to look like the site they're emulating. 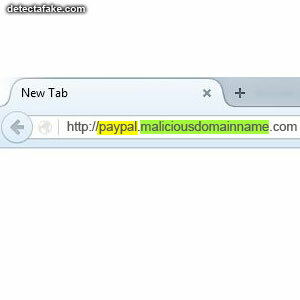 In the example above, "paypal" is used as a sub domain (in yellow) to make it look like it comes from Paypal. Any domain name (in green) can add a sub domain (which replaces the"www"), and it can say whatever they want. For example, www.google.com could add the sub domain "yahoo" and it would be: yahoo.google.com. Another thing, most all domains that have sensitive information are secure. Which means the web address will start with "https" instead of "http". Next, if it's asking you to log in, use an incorrect password. If it's a legitimate site, it will tell you your password did not match. 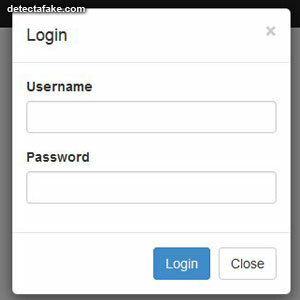 Many of the phishing sites will let it go in because they are stealing the information you are entering. Next, check for spelling errors, typos and grammar issues. 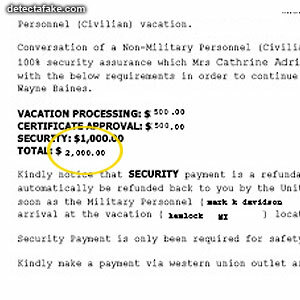 Many of the phishing emails come from other countries and have errors in them. 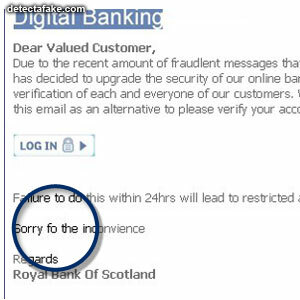 In the example above, it should read "Sorry for the inconvenience". 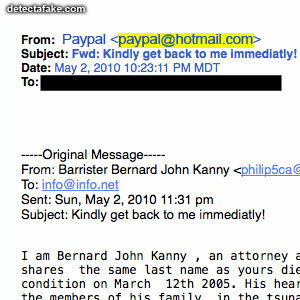 Next, look at the return address in the email. Notice the one above is "paypal@hotmail.com". This is a big red flag. 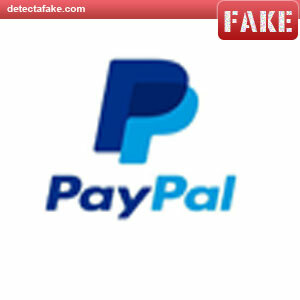 No one from Paypal would ever have an email address with anything other than "paypal.com" (not hotmail.com). Next, look at how you are greeted at the beginning of the email. 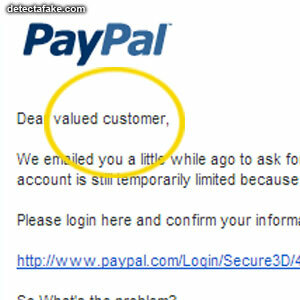 Any company that has your information will greet you by name, not "Dear valued customer". Next, if you're asked to send money to cover expenses or for any other reason, look out. This is the typical strategy of many scams. Next, beware of intimidation tactics. 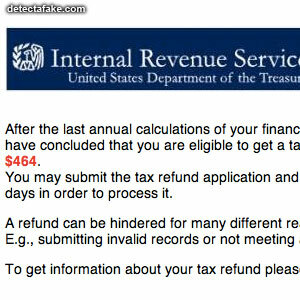 Many of the phishing emails claim they are from a government agency, such as the IRS or the FBI. 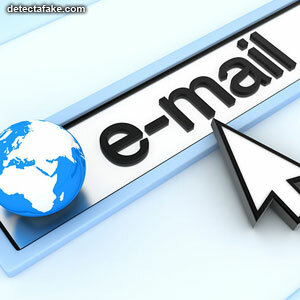 Government agencies don't use email as an initial point of contact. If you're not sure, look up the real phone number to the agency, call them and let them confirm it. Next, look out for the "your account will be suspended" email. Do not log into your account from a link given in the email. Go to your normal login page and check your account. Next, beware of a sob story from someone you don't know asking for a loan. These are SCAMS! Next, if it seems too good to be true, it most likely is. 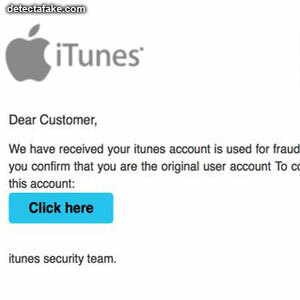 As much as you may want to believe what the scam email is saying, don't. And last, if it's referencing something you did not take part in, it's a scam. 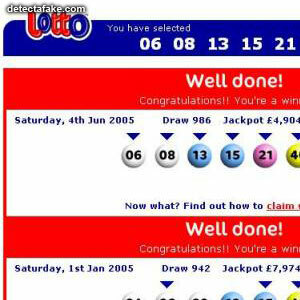 For instance, if it says you're a lottery winner but you didn't buy a ticket, you know it's a fraud.